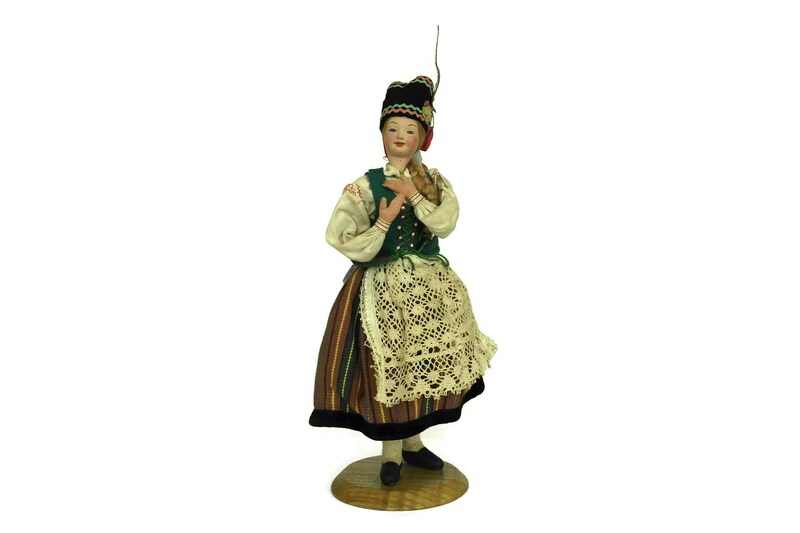 Poland Souvenir Doll in Traditional Clothing. 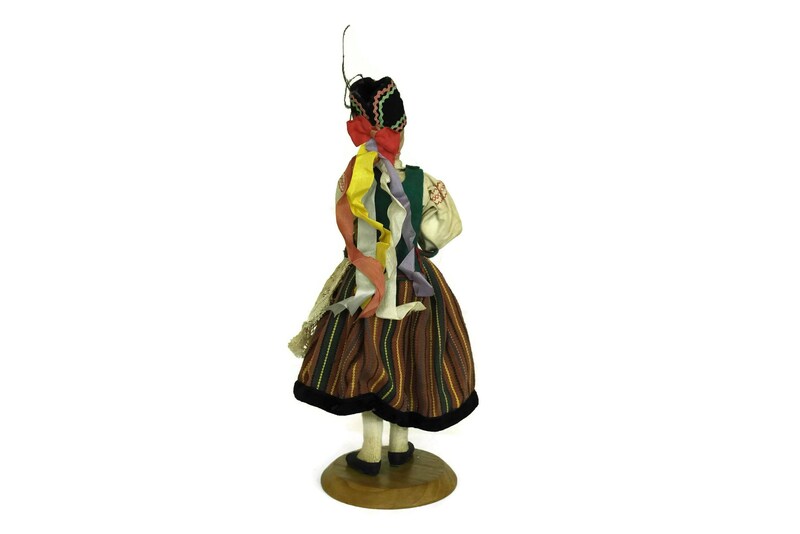 Polish Folk Costume Dress. 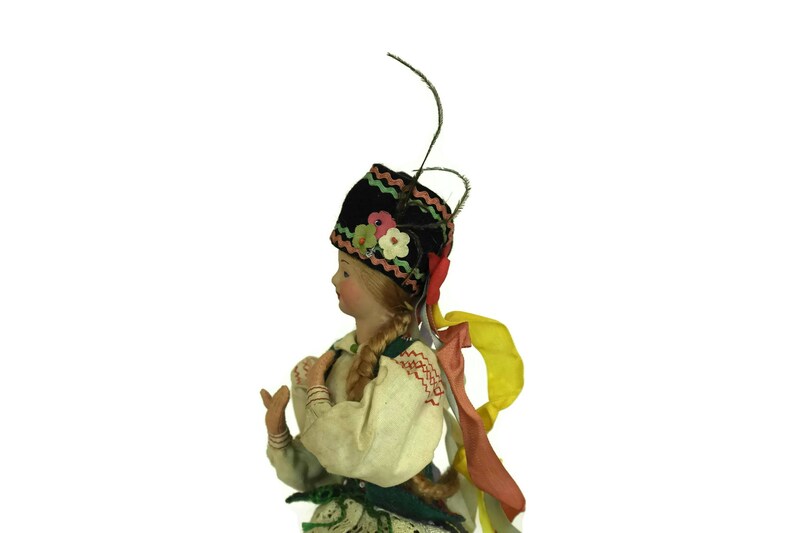 Vintage Collectible Art Doll. 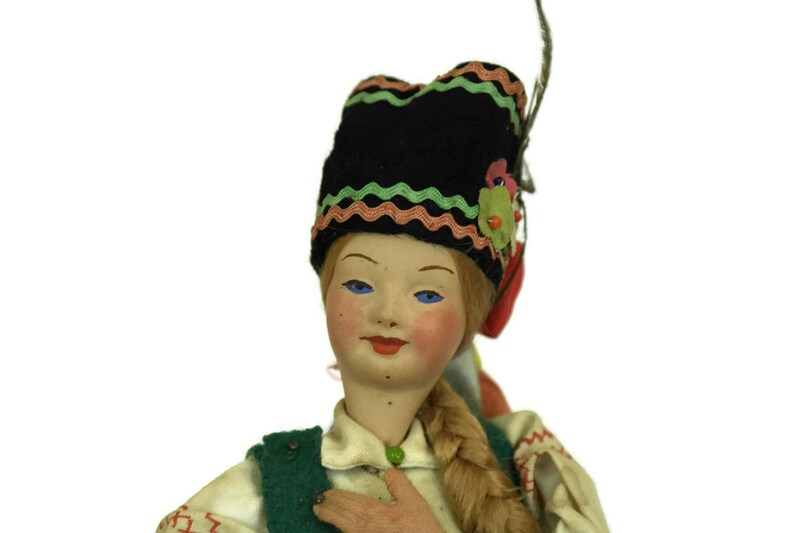 A charming vintage Poland souvenir doll dating to the 1960s. 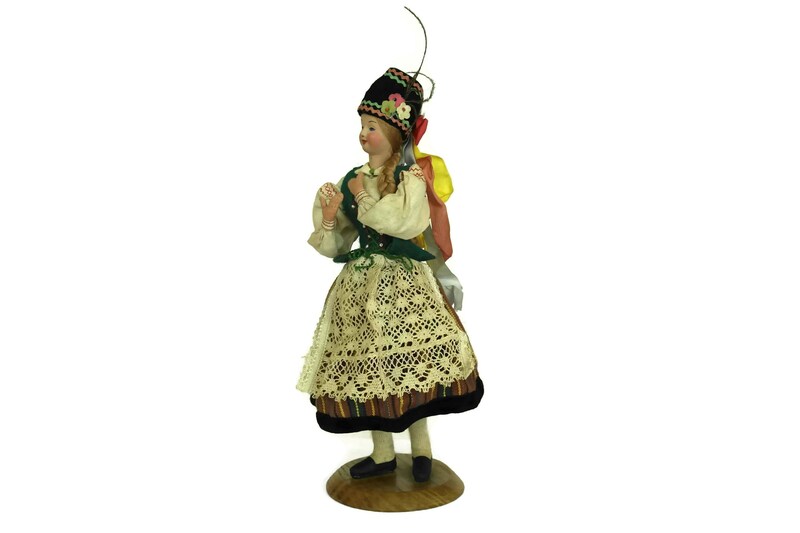 She has been dressed in traditional Polish folk costume dress. 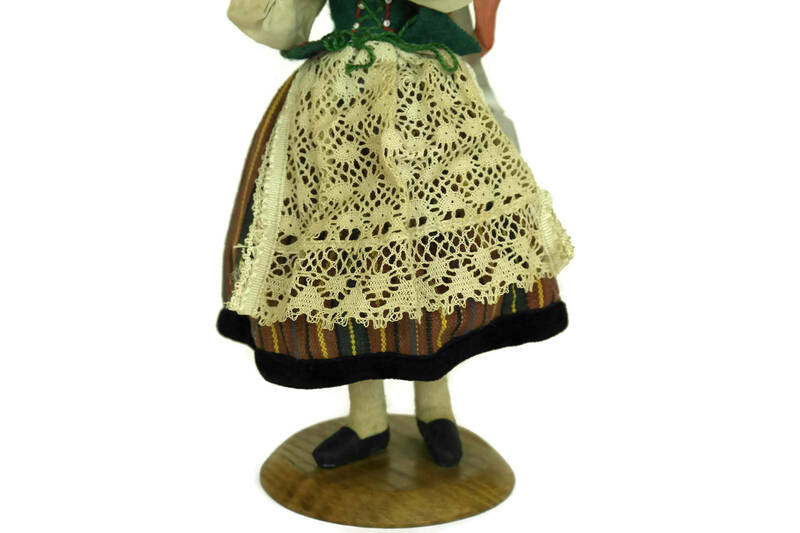 The collectible souvenir doll has a hand-painted composite face and her body is made from stuffed cloth. 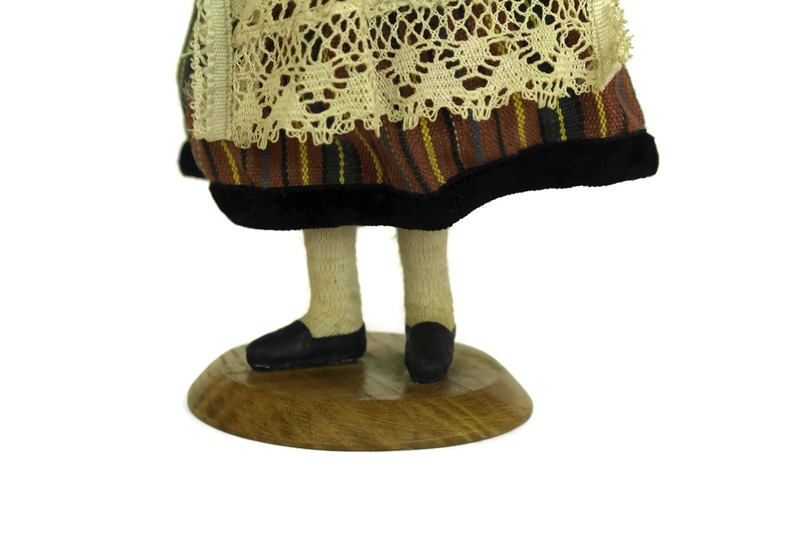 The doll's clothing features hand-embellishment and she stands on a wooden base. 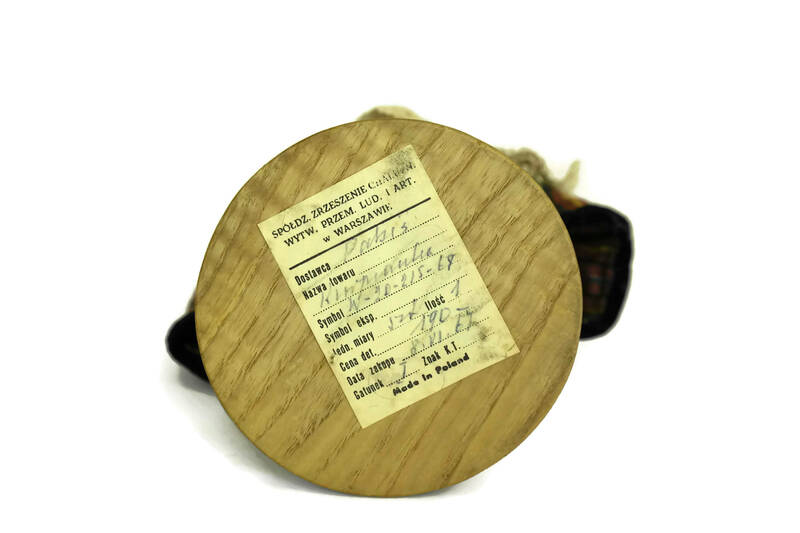 The underside has the original Polish manufacturer's label from the 1960s. 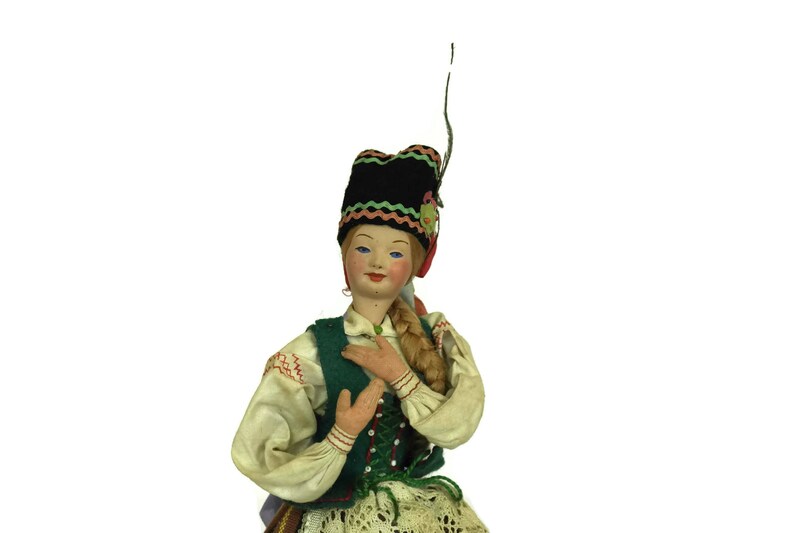 The souvenir doll is in good vintage condition with some signs of age and wear. 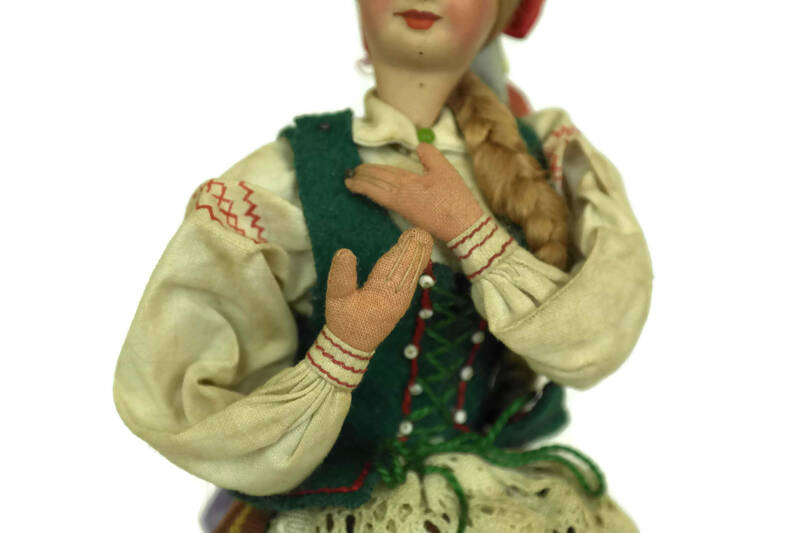 There are light marks and discolouration to her clothes.